Note that disabling Viewing and Search History in your YouTube account will not prevent Google from gathering and storing this information and using it for internal purposes. It also does not change the fact that any information gathered and stored by Google could be sought by law enforcement. 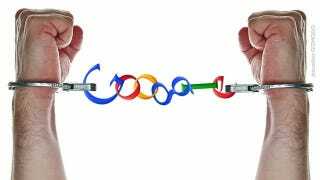 With Viewing and Search History enabled, Google will keep these records indefinitely; with it disabled, they will be partially anonymized after 18 months, and certain kinds of uses, including sending you customized search results, will be prevented. An individual concerned about privacy may also want to set up a secondary Google account for browsing and sharing YouTube videos. She could then download all of her existing YouTube videos to her computer, delete them from her primary Google profile, and then use a separate browser to upload them to a new secondary Google account. If you want to do more to reduce the records Google keeps, the advice in EFF's Six Tips to Protect Your Search Privacy white paper remains relevant. 6. Click "Clear all viewing history." 7. Click "Pause viewing history." 9. Click "Clear all search history." 10. Click "Pause search history." Republished with permission from Electronic Frontier Foundation.